If you’re a hunter or a long-range competitive shooter, you already know how important it is to know the distance between you and your target. Long-distance miscalculations can throw off your accuracy and cause you to miss your target completely, which is a big problem if you’re on a hunting trip and have come across a prized buck (or bear, mountain goat, or whatever you’re hunting). In the old days, the best shooters were able to pick off their prey with a naked eye and some estimating. These days, rangefinders make distance shooting far easier. Today, we’re going to look at some different rangefinders that’ll help make you a crack shot. But first, let’s quickly look at how rangefinders work. There’s nothing new about rangefinders. They’ve been used by militaries throughout the world as a means of judging distance and improving accuracy of projectile weapons for centuries. Even the Romans used a kind of primitive rangefinder during their military campaigns. 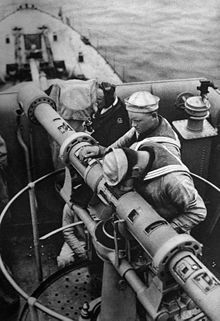 Polish sailor using a rangefinder on a battleship (circa 1939). These days, most rangefinders use lasers (and some use GPS) to judge distances. But up until World War II, rangefinders used optical mechanics to measure distance and operated similarly to a scope. Thanks to the advancements of modern technology, anyone with a couple hundred bucks can have a fully-functioning rangefinder of their own. They’re accurate, compact, and for the most part, reasonably priced. In fact, sharpshooters and archers aren’t the only people who use rangefinders. Amateur golfers, surveyors, and photographers also use them to help with calculating yardage. Now that we’ve covered the basics, let’s take a look at some great rangefinders that won’t break the bank. If you want a top-of-the-line rangefinder that’s under $200, the Scout DX 1000 ARC by Bushnell ($195) is one of the best in its class. It comes with a number of features that you wouldn’t expect from a rangefinder under $500, including 6x magnification, range up to 1000 yards, and two distinct modes for calculating Angle Range Compensation (ARC): bow mode and rifle mode. Surveying with the Scout DX 1000 ARC can certainly help you with your accuracy. The ARC modes are great for helping you judge true horizontal distances while factoring in angles of the terrain. Its rifle mode boasts pinpoint accuracy between 100 to 800 yards with data presented down to the inch, while the bow mode gives archers the chance to see their arrow’s true horizontal distance on targets up to 99 yards away. If you’ve ever tried to work a cheaply made rangefinder before then you know how frustrating it can be to have your device become constantly interrupted by objects in the foreground. You don’t have to worry about this with the Scout DX thanks to its brush mode setting which ignores small objects like boulders, branches, and brush that are commonly seen in the foreground. If you’ve got a little more money to spend, the Ranger 1500 Rangefinder by Vortex Optics ($430) is a great tool that promises improved accuracy on targets between 10 and 1500 yards away. It comes with three separate brightness settings, making it easy to see your information clearly when shooting in bright or dimly-lit environments. The Ranger 1500 provides 6x magnification and comes with an anti-reflective coating on the lens to reduce glare and improve visibility. Some its stand-out features that set it apart from other rangefinders include an unconditional lifetime warranty, a tripod adapter, and a clip mount for hands-free carrying. Distance on the Ranger 1500 can be calculated in yards and meters, depending on your preference. It also comes with three different modes, the Horizontal Component Distance (HCD), Line of Sight (LOS), and Scan mode. The Ranger 1500 is compact and extremely hardy. 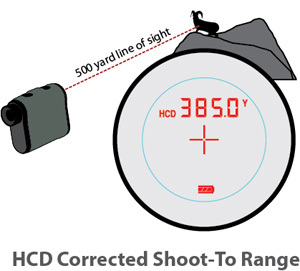 HCD mode is great for calculating true horizontal distance while compensating for angles, the LOS gives you the actual distance between you and the target, and the scan feature delivers continuously updated information as you pan across the landscape or track moving targets. Waterproof and durable enough to handle the harshest weather conditions. Rugged rubber armor exterior adds an extra layer of protection. 6x magnification and 22mm objective lens. Powered by 3-Volt CR2 battery (included with purchase). Deer range performance: 750 yards. Accuracy within three yards when surveying at 1000 yards. What’s your take on the Vortex that matches up price vs features? The RX-1200i TBR by Leupold ($415) is a high-performance designed to give sharpshooters accurate long-distance readings. What sets the RX-1200i TBR/W apart from other rangefinders is its Digitally eNhanced Accuracy engine (DNA), which provides the user with important information including like ballistic range, wind hold value, angle of elevation, and horizontal distance. The rangefinder comes with 6x magnification capabilities and has a maximum range of 1215 yards and a minimum effective range of around 5 yards. The multicoated lenses on the RX-1200i are help with reducing glare while providing a clear image at all times. Its display is an Organic Light Emitting Diode (OLED) that helps to provide clear, bright visuals in all sorts of conditions, giving you a sharper picture than you’d have with a similar LED display. Overall, the RX-1200i TBR/W is an incredibly useful rangefinder for all of the hunters out there. It comes with a lot of premium features designed to help make every shot as accurate as possible, including true ballistic ranges for different types of rifle rounds. Deer range performance: 800 yards. Tree range performance: 900 yards. Clicking fast-focus eyepiece for quick adjustments on the fly. Those are my three favorite rangefinders for low, medium, and big budget spenders. Now that you know a little bit about rangefinders, you’ll probably want to go out and get one of your own. The truth is that a good rangefinder doesn’t only increase your accuracy, it’s also fun to use. 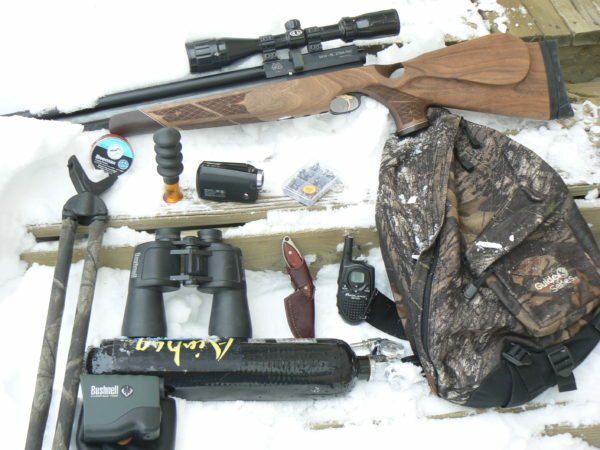 For this reason, you should definitely make it part of your essential shooting gear for all of those long-range shooting expeditions. Make a rangefinder part of your range gear. Remember, you don’t have to spend an arm and a leg to get a good range finder. You just need one that gives you crisp, clear visuals while also providing you with adequate viewing distance. Since you’re probably planning on using your rangefinder with a rifle instead of a bow and arrow, you’ll probably want one that works up to 1000 yards. Another thing to consider is durability. 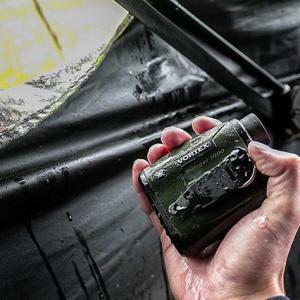 Your rangefinder is likely to get dropped or banged around from time to time, so make sure to get one that’s rugged and able to withstand a little abuse. If you’re a noob who’s just getting into the exciting world of shooting, make sure to also check out our list of precision rifle recommendations so that you can find a good gun to go with that brand new rangefinder. Have you used any of the rangefinders recommended here? Do you have a favorite that didn’t make our list? Tell me about it below. I have the Vortex Ranger 1000. It’s a great mid level option. Brownells has Bushnell Elite 1 mile CONX on sale for under $300 right now. Don’t know anything about how good it is but for the range & features it seems like a good deal. Great recqs! I have a Leupold RX-1200i myself and love it.